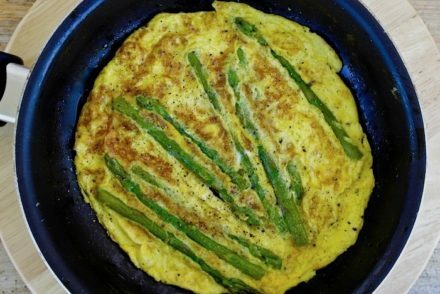 This is one of those recipes that you will make when you want something a bit crunchy, a bit salty and yes- a bit starchy. Obviously this is not something you have everyday, but these feta-phyllo bites are excellent as an accompaniment with wine instead of just cheese and crackers. It reminds of these little tiropitakia (little cheese pies) my grandmother used to make. She would actually fry them, yes you heard me, mini fried cheese pies – and they were always gone within the day. 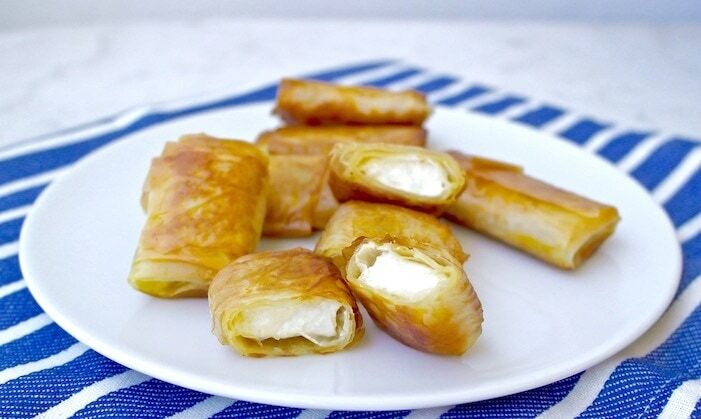 These here are a lot simpler though, all you need are three ingredients: cheese, phyllo and olive oil. And trust me, they are delicious. Just roll small pieces of feta in a strip of phyllo, and lightly fry in olive oil just for a couple of minutes. These are not deep fried, but fried just enough to get the phyllo crunchy. You serve them as is or I also like placing a few on top of a green salad. Spread out the phyllo and cut in strips of about 2 inches wide. Place the piece of the cheese on the top side of the strip and fold over into little rectangular packets, folding in the ends. You do not need to brush the phyllo with olive oil, unless it has dried out. Place feta -phyllo packets in pan and fry for about 1 minute (or less) on each side, be careful not to burn them. Remove from pan and place on paper towels. 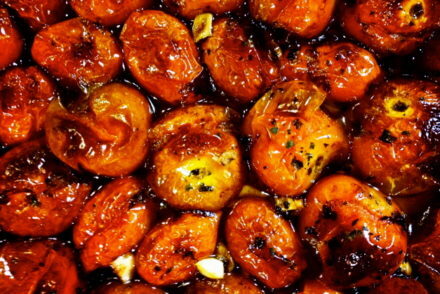 Serve as is or drizzle some honey on top.